If you are operating a marijuana business in Los Angeles County without a license: You’re probably going to want to promptly seek legal representation from lawyers with longtime experience in state and federal marijuana criminal and civil cases. 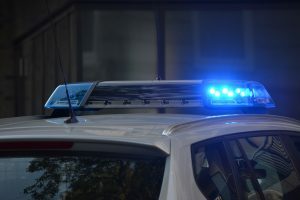 The California Bureau of Cannabis Control reported it had carried out search warrants on two businesses – one in Los Angeles County and the other in Sacramento County – for allegedly operating an unlicensed cannabis company. January 9th marked the end of what state regulators called the grace period for unlicensed marijuana businesses across the state. This was akin to a warning shot, with the agency noting the several hundred unlicensed marijuana retailers and delivery services statewide are “taking their chances.” Even if they do close shop, there is no guarantee authorities wouldn’t take action after the fact, though it’s more probable they’ll want to pursue action against those in active operation. Licensed L.A. marijuana retailers have been complaining for the last year that black market operators were undercutting their sales with an unfair advantage. The Sacramento raid stemmed from a complaint filed with the BCC, though the agency didn’t indicate where the tip originated. Many of the shops slated to be targeted were formerly collectives and co-ops allowed to operate through last year despite not having a license. They had protection from state prosecution as designated medical collectives, but that expired officially last month. Unfortunately, while many of these collectives were long-standing, there aren’t that many licenses to go around. Some smaller marijuana businesses may be priced out of licensing in some areas. Los Angeles marijuana licensing attorneys know it’s been an especially problematic issue in this area because the city has been snail-pace slow to issue licenses. That means despite some of these operations are among those that have been operating legally in the state for two decades. Now, those business owners must decide whether to completely close up shop because the city hasn’t expedited their registrations, or do they take “take their chances” and continue to operate on the black market. Some owners told MjBizDaily.com it wasn’t just themselves they were concerned about; long-time medical marijuana patients would be losing their access too. Whether we’re going to see a slew of raids is unclear. It will likely depend on the volume of complaints in any given region and the available resources to address it. Although arrests were made by California state authorities, as future arrests promise also to be, there’s no guarantee operations selling marijuana outside the statutory structure of the state framework won’t risk federal charges, especially if there is any indication the business crossed state borders. The Obama administration’s Cole Memo, which the Trump administration has indicated – at least for now – it will abide, vows Department of Justice expenditures for prosecuting federal marijuana trafficking crimes only extends to those businesses that are following state law. The business in Sacramento was an unlicensed cannabis delivery service, while the business in in Los Angeles was a retailer. According to regulators’ press release, authorities with bureau’s Division of Investigation seized $250,000 in cannabis and related products from the search in Sacramento County and another nearly $28,000 and two firearms from the unlicensed marijuana store in L.A., where six people were also arrested.